If you haven’t yet had a chance to join the BCTELA summer book club, don’t worry: you still can! The coordinated date has been extended to July 6th. This year we are reading about theories of Place-Based education. As this topic is still emerging as a area of study, we will be reading four articles rather than a single text. Let us know if you have questions. If you’re ready to read, please download the form and send it to the address you’ll find at the bottom. We will send you the articles. The first two will be discussed on Twitter on July 9th, and the second two on August 11th (see the Important Dates in the sidebar to the left). Have you heard of Jane’s Walks? Inspired by the work of Jane Jacobs, Jane’s Walks are neighbourhood walking tours, led by a member of the community. The tour routes and content are as varied as the citizens who lead them. Consider this as a great way to get our students to embrace their presence in their community. If you don’t have the capacity to actually do the waking tours, a adaptation might include a mapped route with photo-anchor accompaniment to written or audio descriptions for a set number of points of interest. The global festival is May 1-3, but you can do Jane’s Walks any time through the year. Another way to explore and bring forward the stories in our neighbourhoods and communities is to dig through the layers of a place. 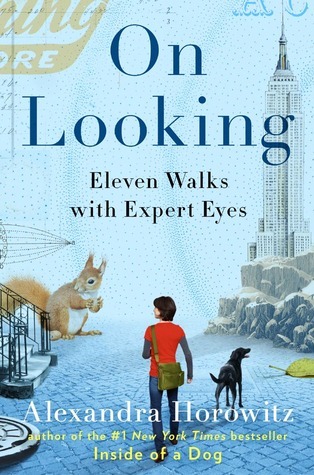 The book On Looking: 11 Walks with Expert Eyes by Alexandra Horowitz can provide the inspiration to bring your classroom into the community. The author took the same walk around her neighbourhood 11 times with 11 different people and noticed the difference in what she noticed. To think about why we see what we see, and how we see it can be a fascinating entrance into a celebration of our place. 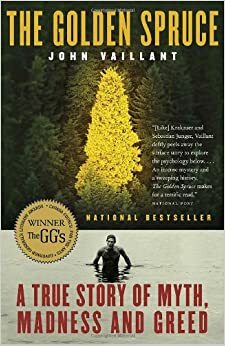 The Golden Spruce: A True Story of Myth, Madness and Greed by John Vaillant. I love this book. The prose are poetic to the extent that I have used passages as prompts in an art class. The story opens with a mystery and proceeds to weave together strands of natural history, botany, political and economic history, adventure, cultural history, and social activism. Every time I try to book talk this title I fall down some sort of rabbit hole: I can’t quite seem to ever tighten my description of the book enough and end up rambling. I could tell you that it’s the life story of an culturally important and botanically unique tree, from germination to felling, but that’s only one piece. I could tell you that it’s the story of a man named Grant Hadwin, who worked in the BC lumber industry and who suffered from a (probable) mental illness, who made headlines with his actions when he took a stand against logging practices in BC. But the book is so much more than that! I could also say that this text provides a lyrical and informative portrayal of geologic history, the history of human culture and the history of economic development of natural resources in BC (which is pretty great since that last topic can at times be a little dry). But those threads don’t constitute the whole text either. Look! It’s happening again! I realized a few years ago that I like what I have decided to call “Farm Literature.” There may be an industry name for this but I’m happy with mine. Farm Lit is, for me, a book about someone’s experience living on a farm–hobby or sustenance–or other intimate experience with the food we eat. That’s not a exhaustively vetted definition, and has been developed as I read books I holistically add to the category. Home: tales of a heritage farm by Anny Scoones is a collection of stories about the ten years she spent living on and restoring Glamorgan Farm. The farm is on the Saanich Peninsula, on the South end of Vancouver Island and was threatened by development when Anny bought it. She restored it and made a point of raising heritage breeds and growing heirloom vegetables, opening the workings of the farm to the community. 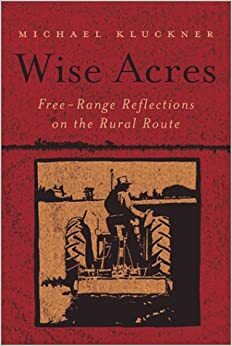 Wise Acres: Free-Range Reflections on the Rural Route by Michael Kluckner. Kluckner, a notable watercolourist and Vancouver historian, moved with his wife from a house in Vancouver to a hobby farm in the Fraser Valley. The book is a darkly funny chronicle of the couple’s experience adjusting to farm life, including animal husbandry. The third title I’ll share today is a bit different. 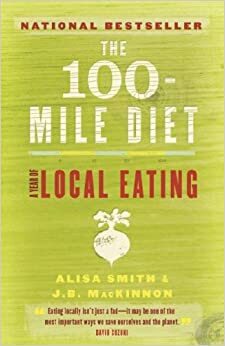 You may have heard of The 100-Mile Diet: a year of local eating by Alisa Smith and J.B. MacKinnon. The authors generated a huge amount of press when they spent a year eating only food that was grown or produced within 100 miles of their homes in Vancouver. Whereas the first two titles are a microcosm of BC food-life, sharing the day-to-day at the production end of the chain, The 100-Mile Diet shows us a broad view of the myriad aspects of the food industry in BC (and not even all of BC–how might this story differ if it was based in Smithers, or Kelowna, or Nelson?) from the consumer’s end. Looking at local sources of food can be an inspiring way to get to know the land where we live. The people who feed us from our land are often unknown to us in the lower mainland. It’s not as anonymous in smaller communities, but time spent with our students on this topic can’t help but enrich their literacies of place. I taught again today the lesson I described on day 10. It was another group of 6/7s and I used the same poems from Joyful Voices for them to practice and present. One difference was that I didn’t use the Shane Koyczan “To This Day” as the introduction. I found that, while a great piece, it didn’t exhibit the particular characteristics of slam poetry I wanted my students to notice and attempt to imitate: Koyczan’s piece is too polished, too smooth. Luckily, the other night I came across this piece from the Brave New Voices festival slam competition (this particular piece has been picked up by Upworthy and made a round on facebook so you may have seen it.) It is a poem for two voices, which is great for my students to see and hear what I’m going to be asking them to do in the second part of the lesson. I ask them to listen for how the two voices work together, and off each other. This piece is by two young women and is on the subject of religious stereotypes le viagra pas cher. If you poke around the Brave New Voices website, you will find the Speak Green page. What a perfect source for Earth Day! (you can use it next year.) This collection of environmental poetry is a pretty cool spark to inspire some of our young poets to challenge themselves to focus their creative voices on a issue that matters to all of us.